As the school year begins, teachers make myriad decisions as they prepare to welcome students. The selection of texts to assign students—the novels, plays, poems, short stories, films, graphic novels, and non-fiction pieces that are often the centerpieces of the discipline—is key to the decisions about curricula, particularly for English teachers. Educators must consider the students with whom they work as well as the expectations of the unit of study. At times, the selected texts may, in the view of some, be controversial due to language used, action depicted, or thematic complexity contained. It seems wise for educators to have written and posted rationales for the use of all texts; such rationales should be an integral part of every English teacher’s files, reflecting the decision-making that goes into the selection of particular texts for study. Students should be engaged in the process of text selection and defense as well; we want all life-long readers to be informed consumers of texts, readers who investigate texts that challenge and clarify their own thinking and open new realms of knowledge. 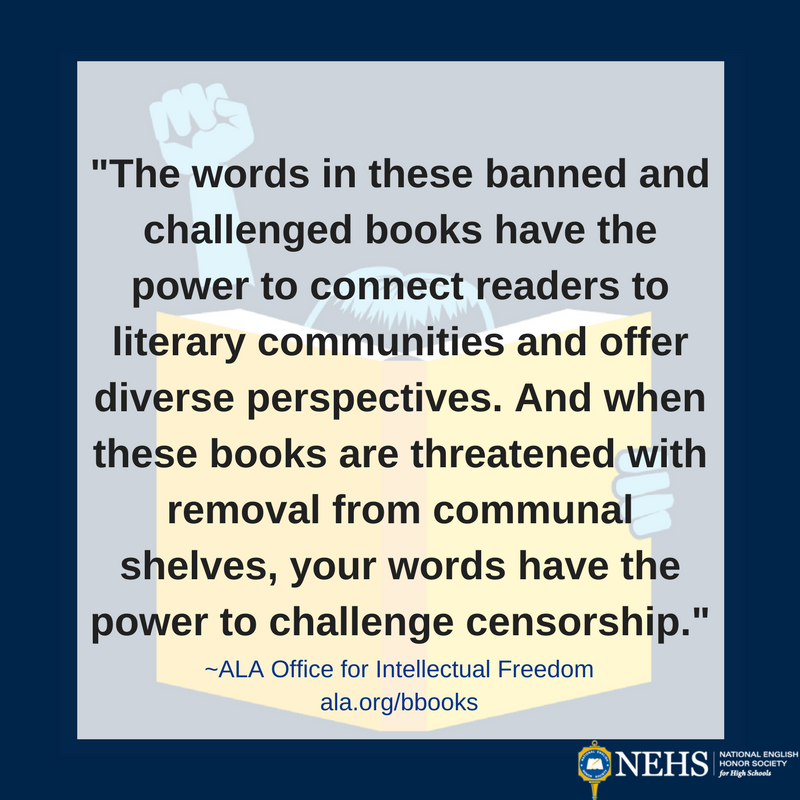 As students are guided to read challenging and in some cases controversial texts, they begin to develop their own sense of appropriateness and, we hope, become defenders of the written and spoken word. Teachers serve as role models in this development. The future needs individuals to stand for the right to read that exists in a democratic country. 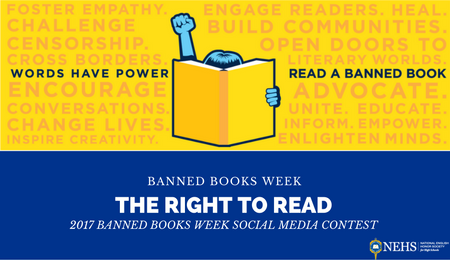 Timed to coincide each year with the celebration of Banned Books Week, NEHS encourages participation in the Intellectual Freedom Challenge. 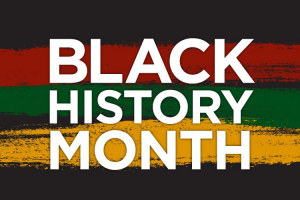 Sophomore and junior NEHS members are invited to submit essays dealing with a text that may be perceived by some as controversial. Students are to submit essays that delineate a careful argument for the inclusion of the text for classroom study or support restricting the text in some way. Sigma Tau Delta university professors and members of the National Advisory Council of NEHS evaluate the essays; the best essays garner monetary awards for the students ($100) and their chapters ($50). 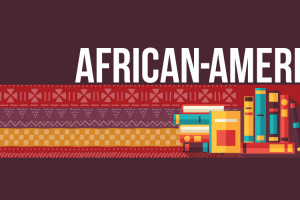 Essays may be submitted from September 1 through October 23. What to do in your post: Books are banned for a variety of reasons. 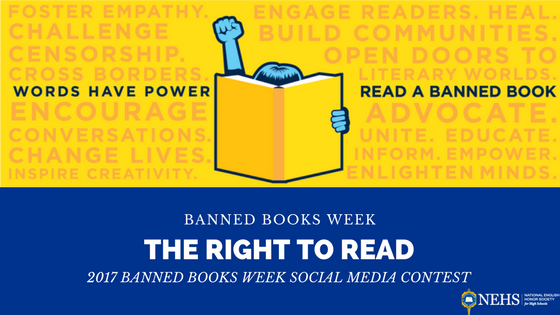 Take a photo of your favorite banned book and share with us (on one social media platform) one of the reasons it has been contested. 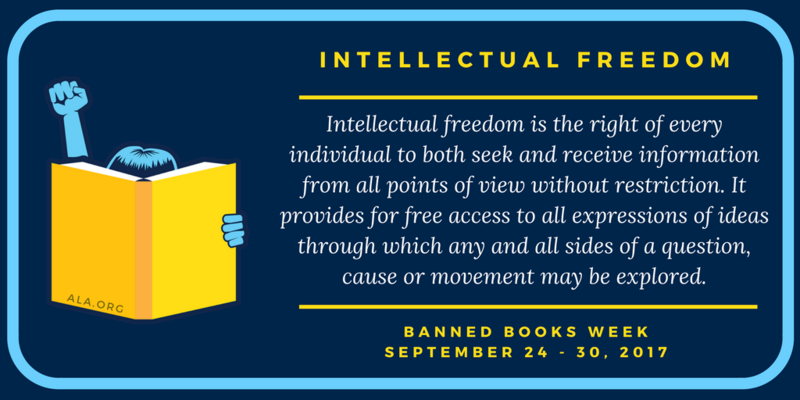 If you wish to post on a second platform, please choose a second banned book to post about. The contest will run from Sunday, September 24-Saturday, September 30. Everyone who participates during this time frame will be entered in a drawing to win one of three $25 Amazon gift cards. A $45 Amazon gift card also will be awarded for the best overall post.